Cranio-sacral therapy is a subtle and profound healing form. In a typical cranio-sacral session, you will usually lie fully-clothed on a treatment couch. The therapist will make contact by placing their hands usually lightly on your body and tuning in. The first thing you will probably notice is a sense of deep relaxation, which will generally last throughout the session. This release of tension often extends into everyday life. The benefit can also be noticed after few days in some people. 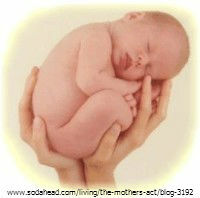 The experience is different from each baby, child or adult according to their own need of balance and adjustments. I use CST by itself or with Nutritional advice and NAET treatments to integrate the entire body mind system at a deeper level. I notice that the body respond much more to the NAET treatments and the person feels more complete and healthier in body and mind, each time by releasing old patterns and old issue stored in the body. CST has been used for babies as soon as they come into life to help the baby system to settle into a normal rhythm and vitality. Very helpful for mothers as well as it help with rebalance the normal rhythmic motions of their system after their labor that is traumatic or not. It is called cranio-sacral because the of the spinal fluid going from the cranio to the sacral is what makes everything function well and properly. All the nerves and nerve transmition from the brain to the body and from the body to the brain go through there and it is all connected like a tree with branches and roots. What the cranio-sacral therapist does is listening to the rhythm of that fluid and feel if there is any blockage in the body, memory cells of the tissue and the mind as well as the energetic field around that body to see if it is breathing well and properly. If there is a blockage just our training and knowledge will help the mother, baby and adult unblock the blockage and rebalance the system or body function. Memory cells – my experience with Cranio-sacral therapy was amazing. My labor and my son birth were very traumatic. My son kept having colds and coughs from the time I stopped breastfeeding at 14 months. As I did not want to give antibiotics all the time I sought for other ways of dealing with that. Homeopathy vitamin C and nutrition helped to get rid of the colds or reduce them when he had them but he still kept having more colds and coughs that he should have had. So I took him to cranio-sacral and it took a while as I took him to the Student clinic but they got rid of his traumatic birth and finally his colds and coughs were reduced to once a year and now not even once a year.He can now fight the colds very easily and usually gets over anything much easier than any other child that I know. My own experience with CS was that even after 7 years since the labor my memory cells body still retained that trauma.I had epidural so I did not feel mentally any pain, but my body did. And all that pain and trauma was still pretty stored in my tissues. Finally I got rid of it with CS and it is amazing the difference it made even to my personal life physically and emotionally. Reduction and or elimination of night terror in toddlers and children in general. Starting life with a great balance system is one of the huge benefit that the baby will have in coping any of the issue that life brings. Babies treated with CS have a more positive and happier attitude in life and feel more confident of their journey.